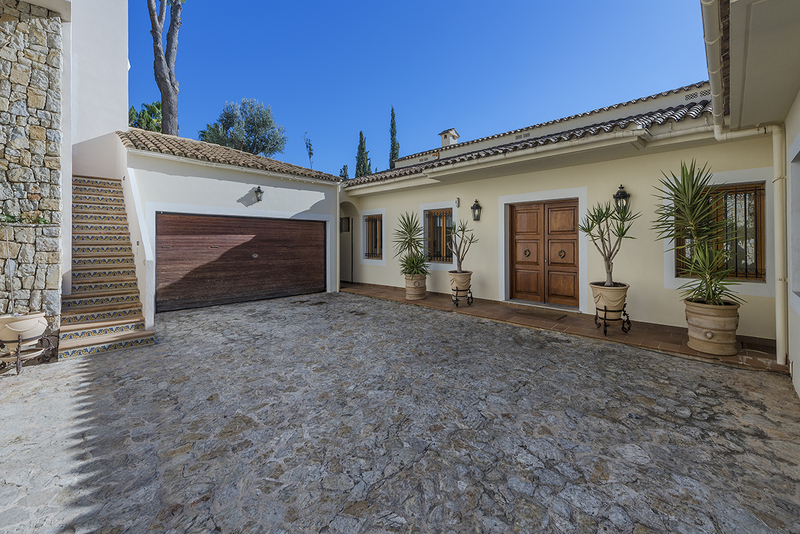 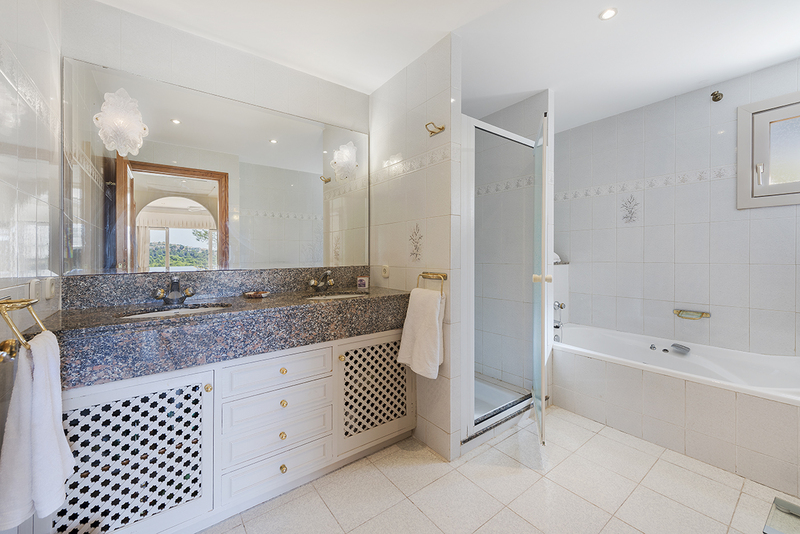 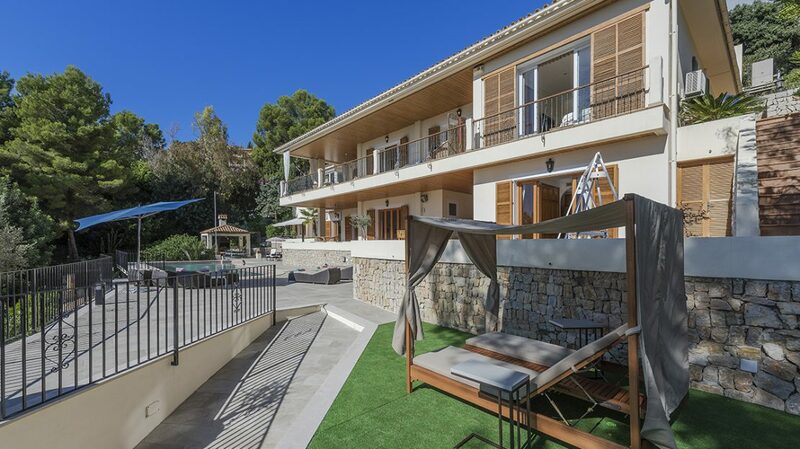 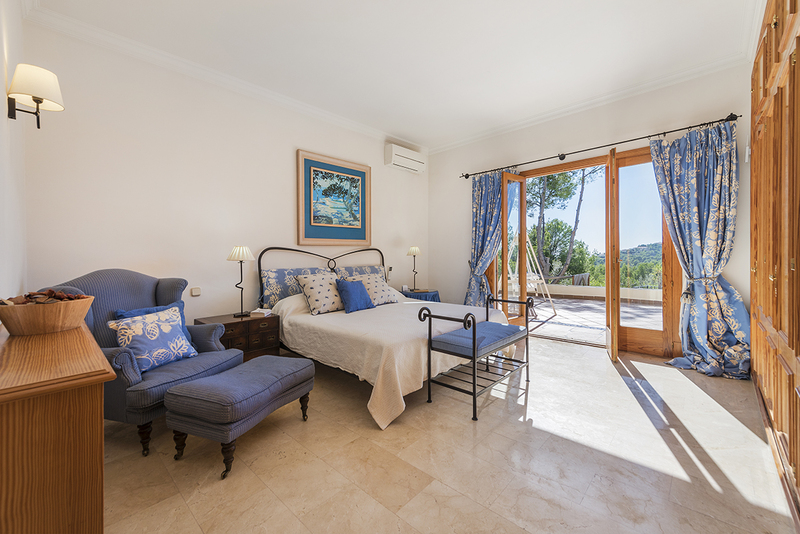 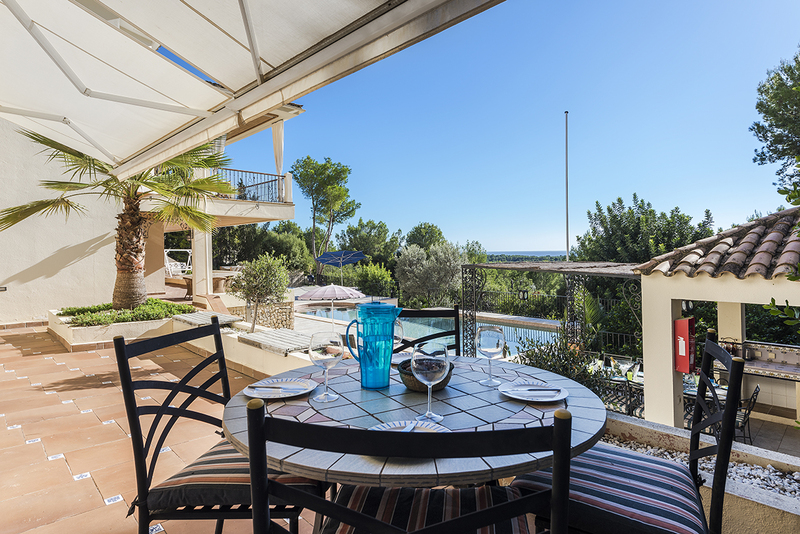 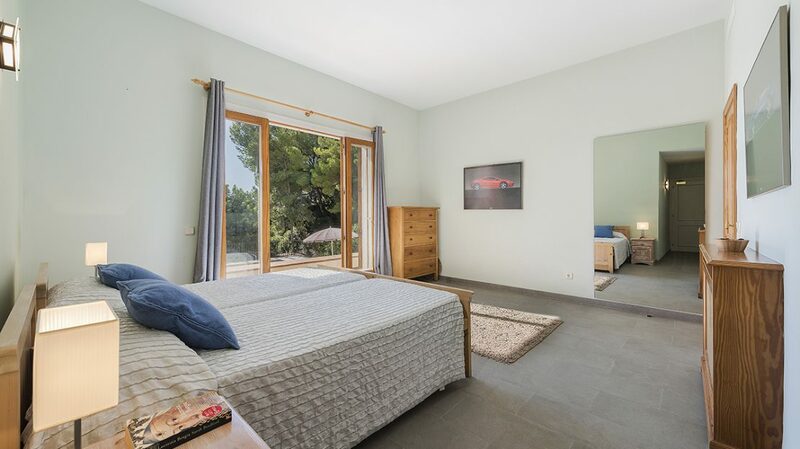 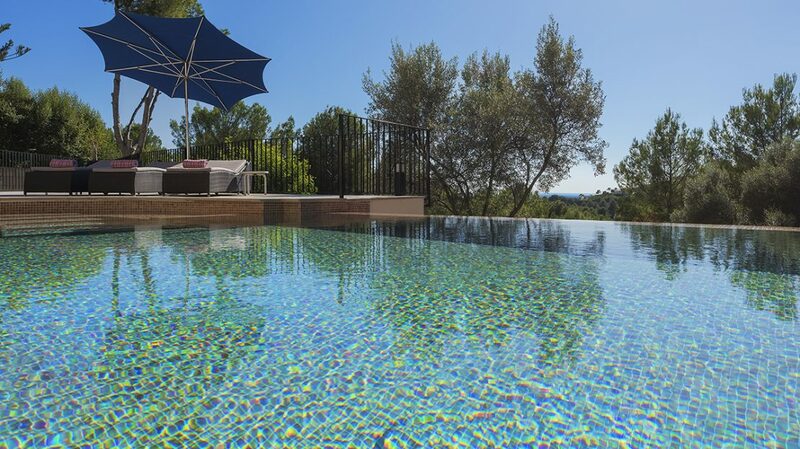 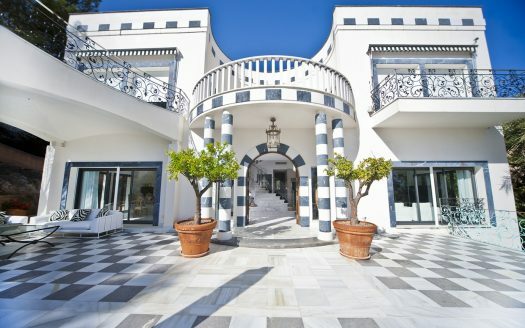 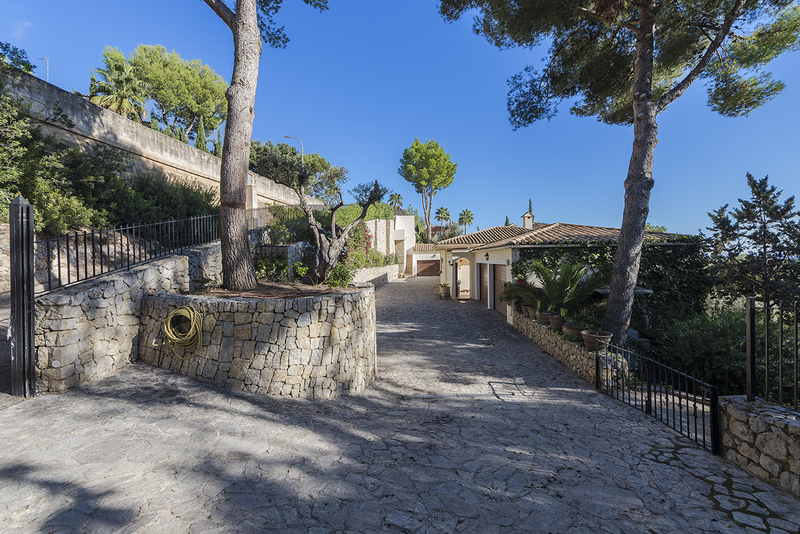 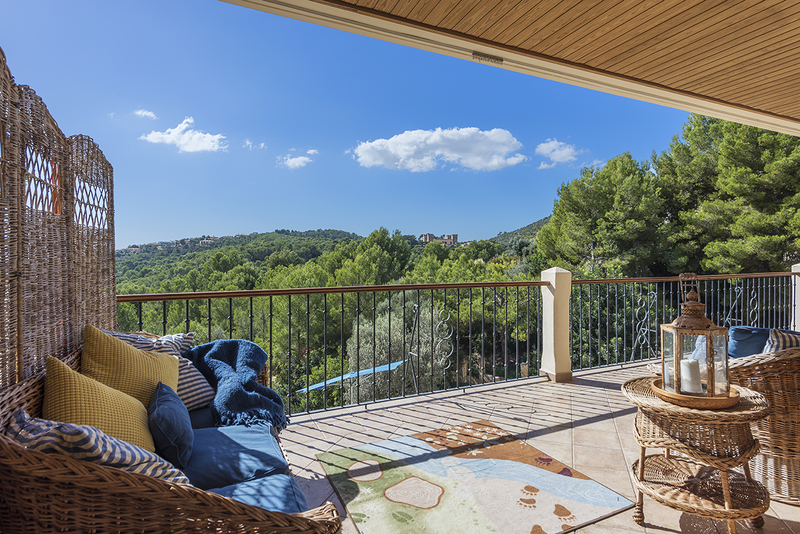 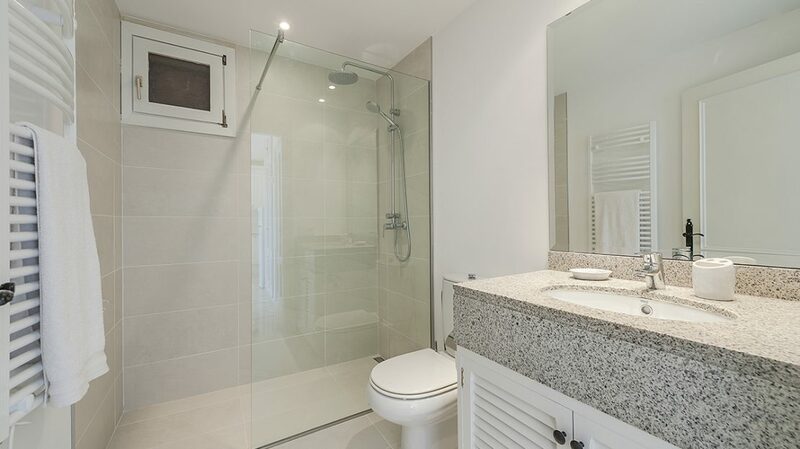 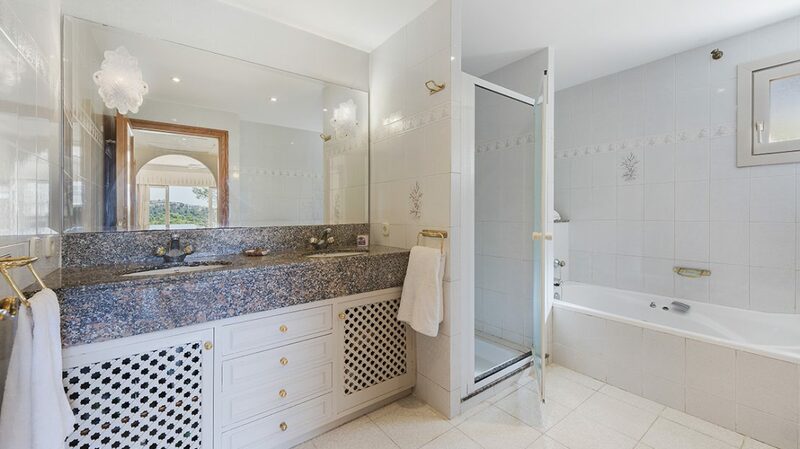 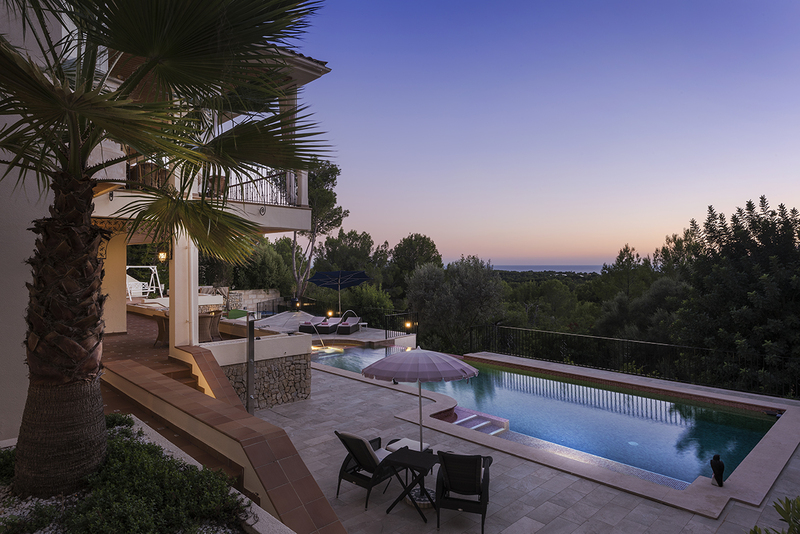 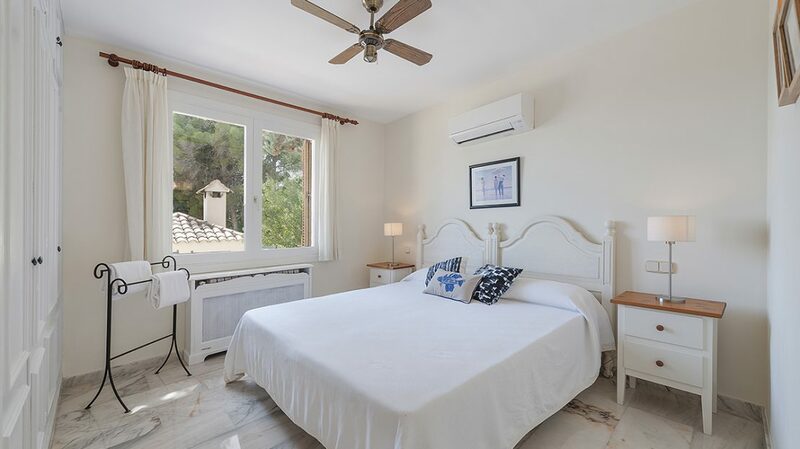 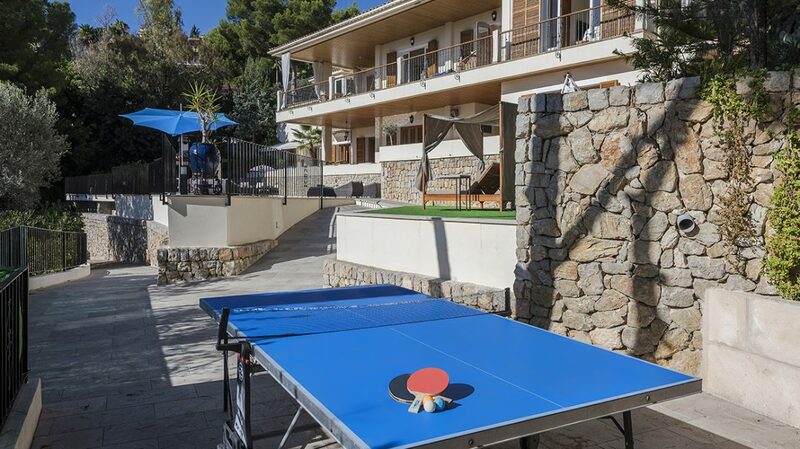 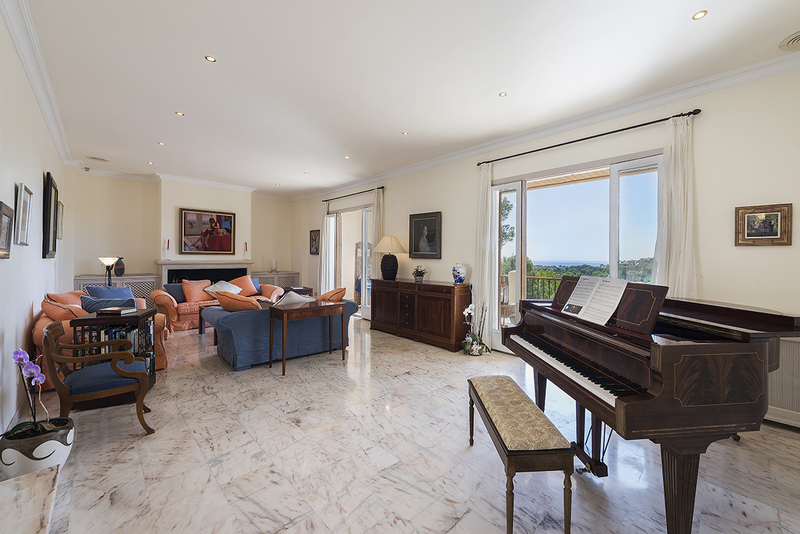 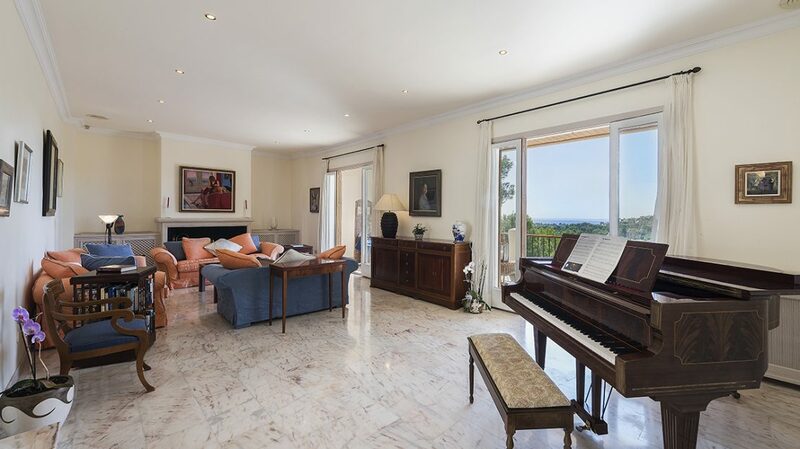 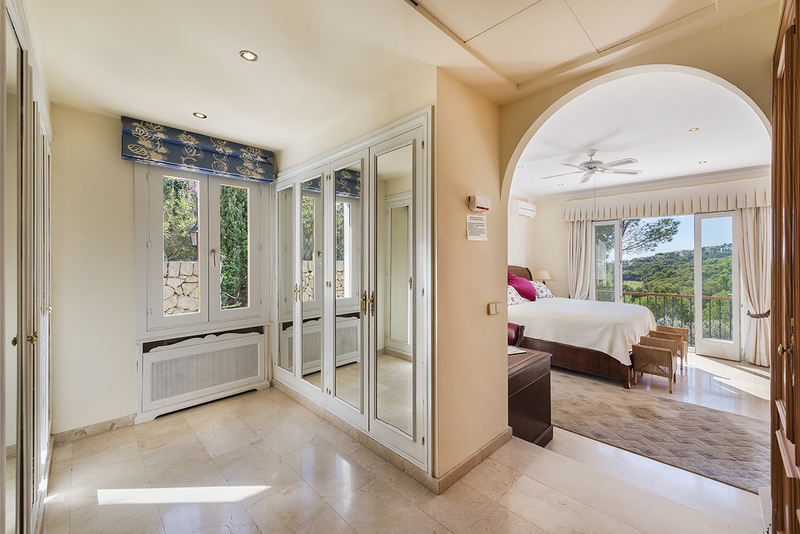 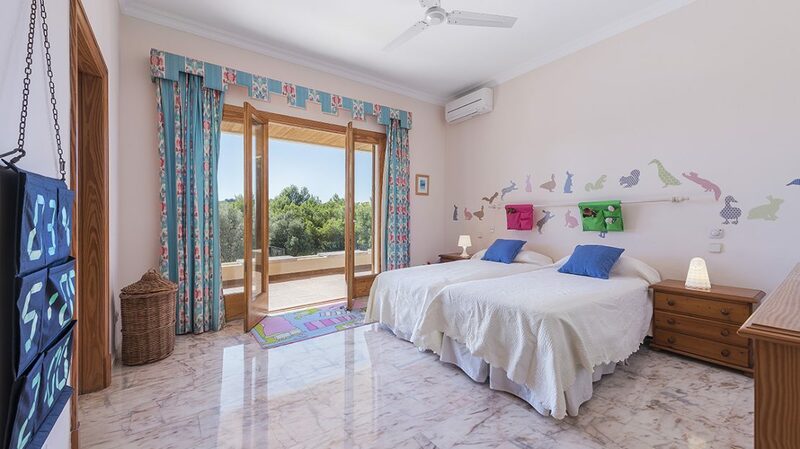 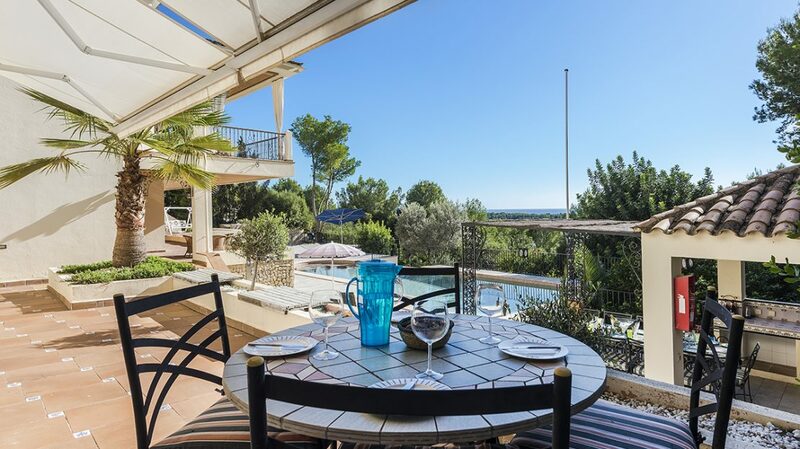 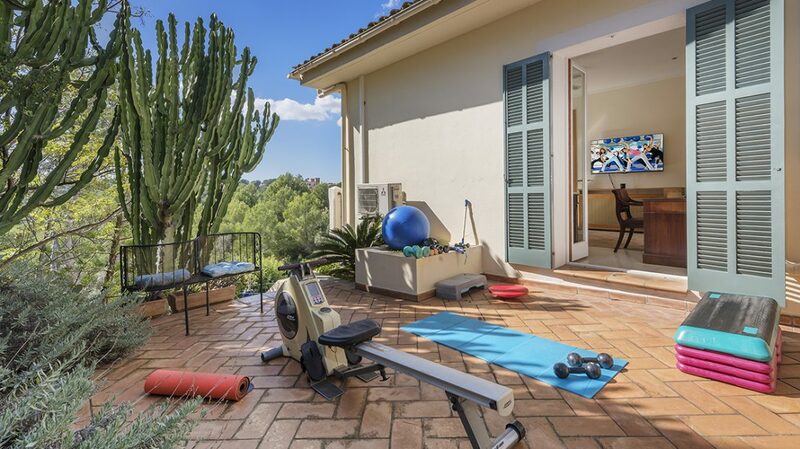 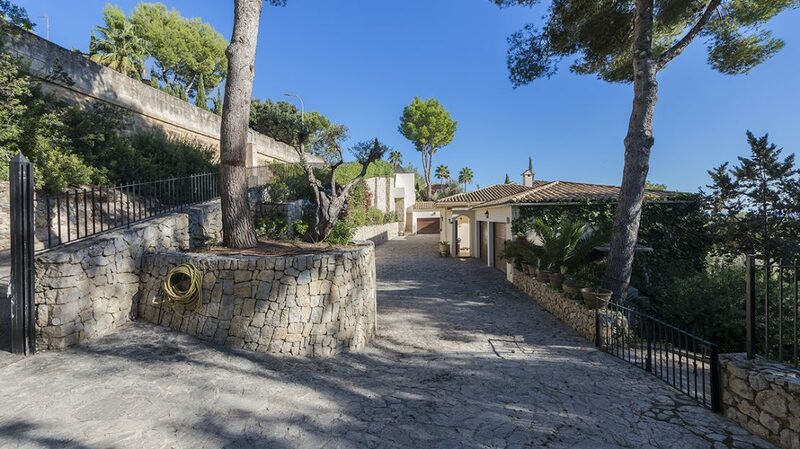 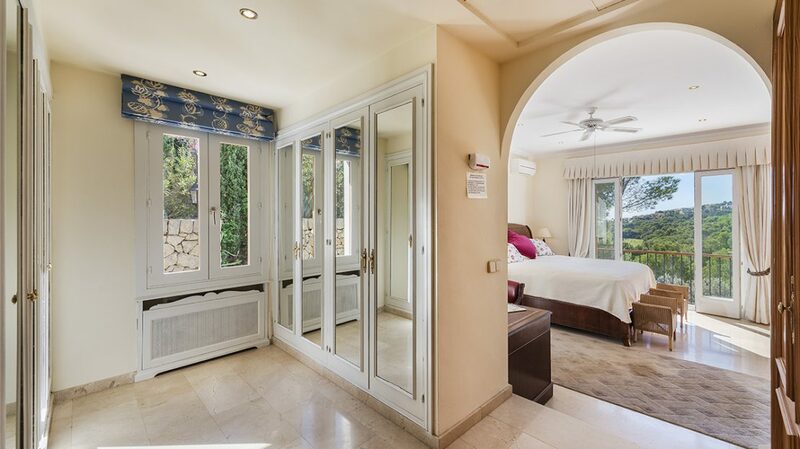 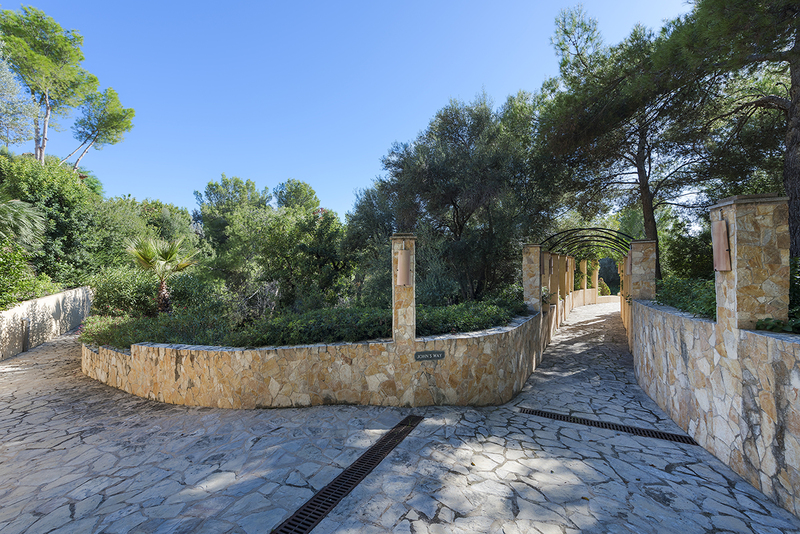 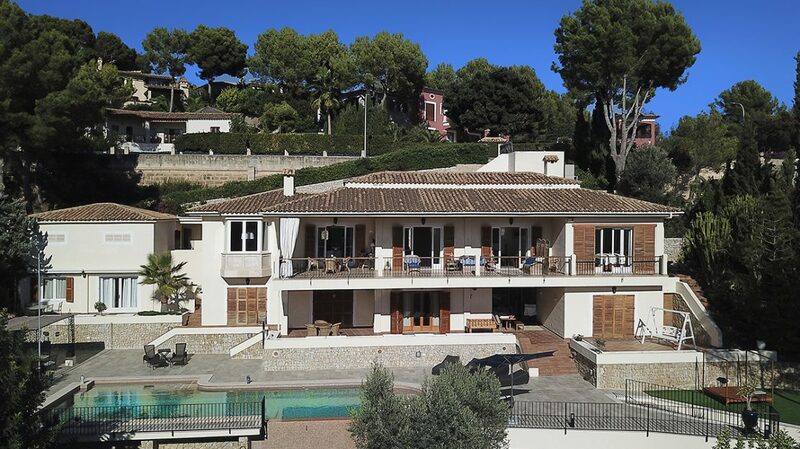 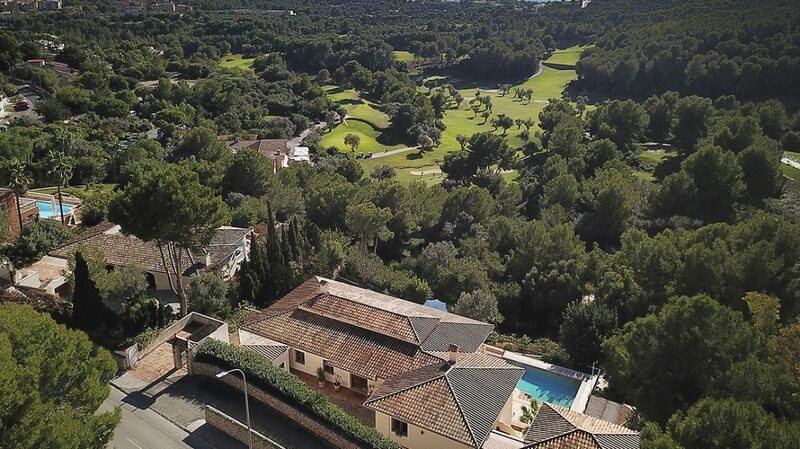 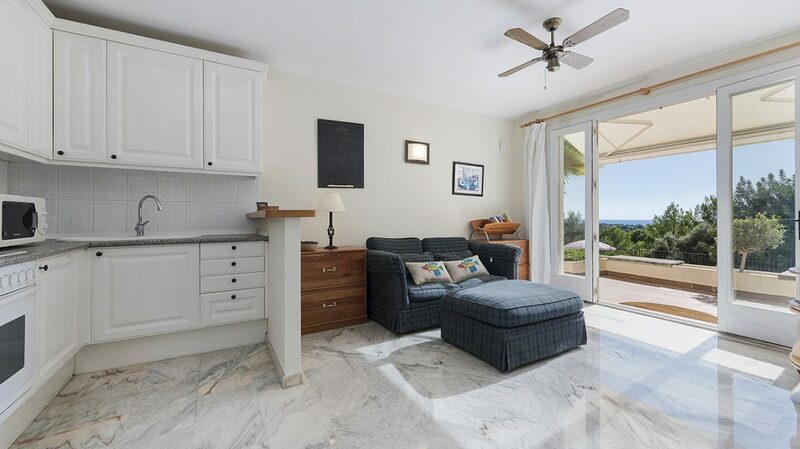 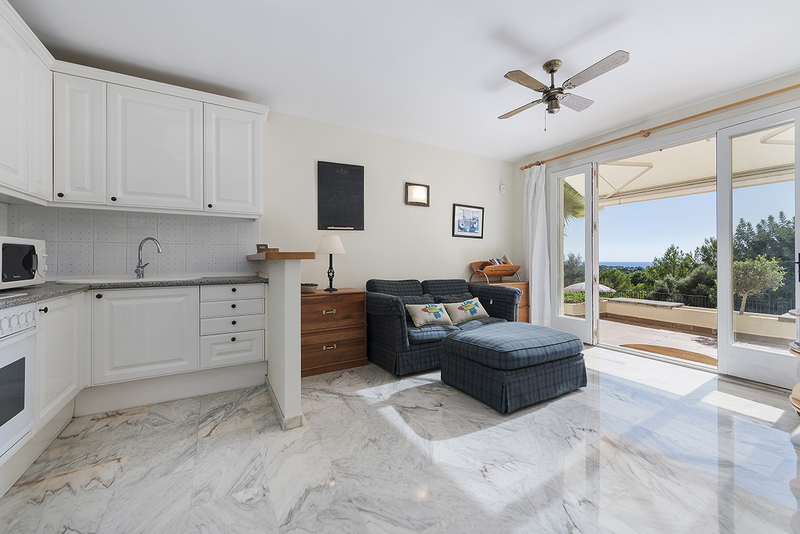 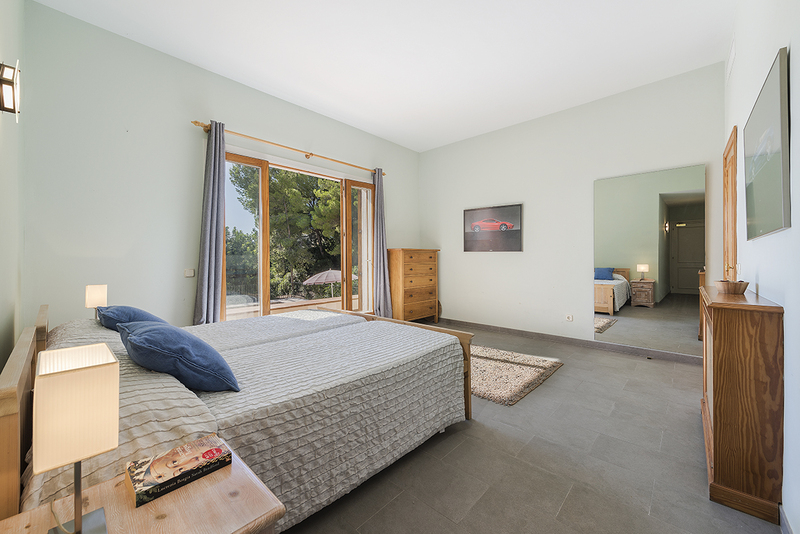 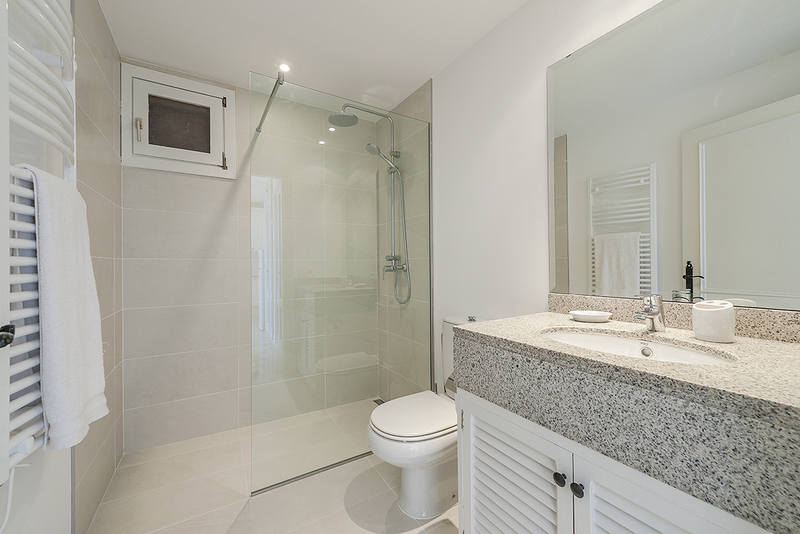 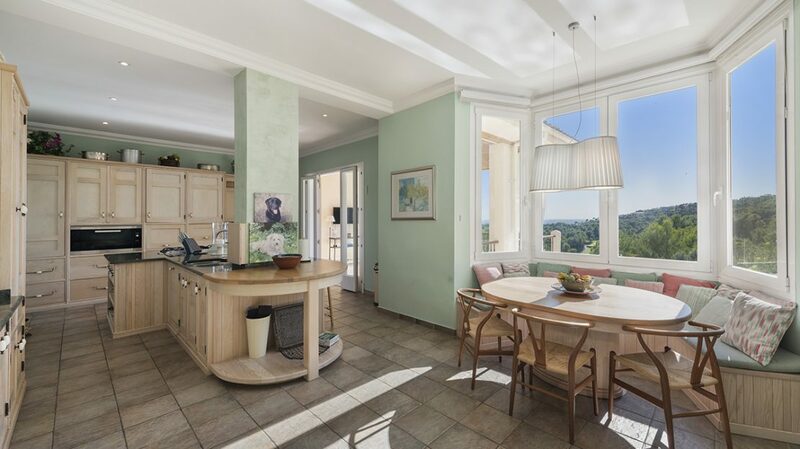 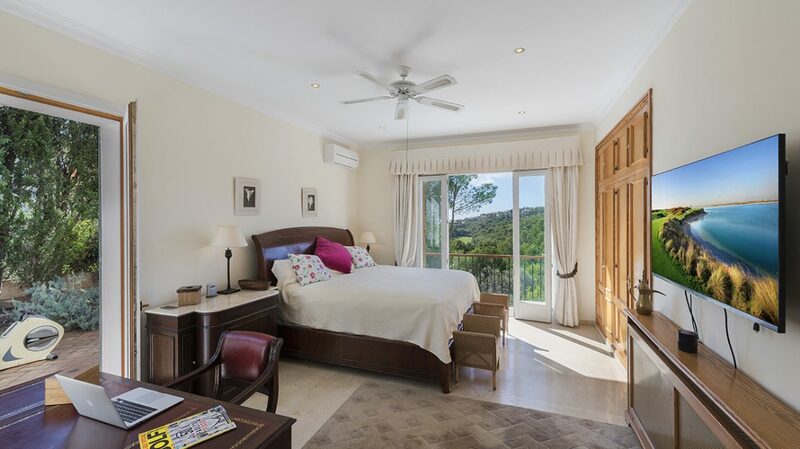 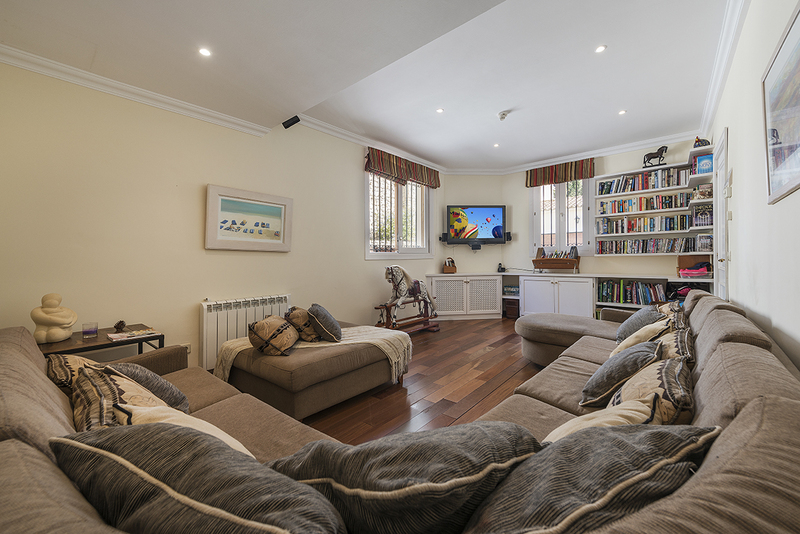 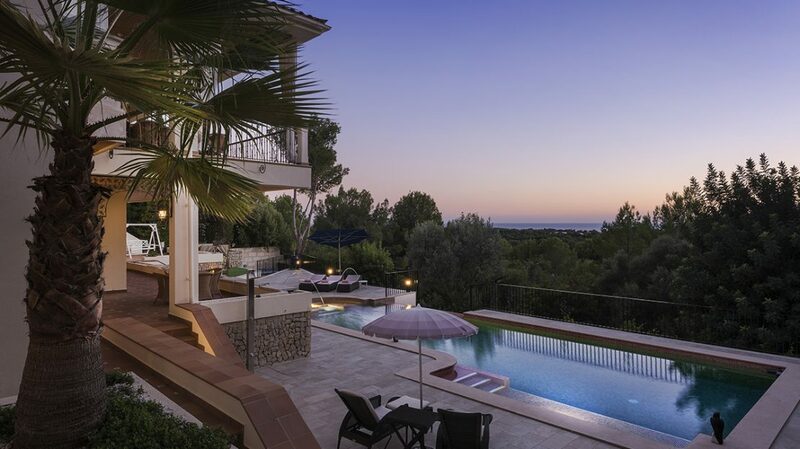 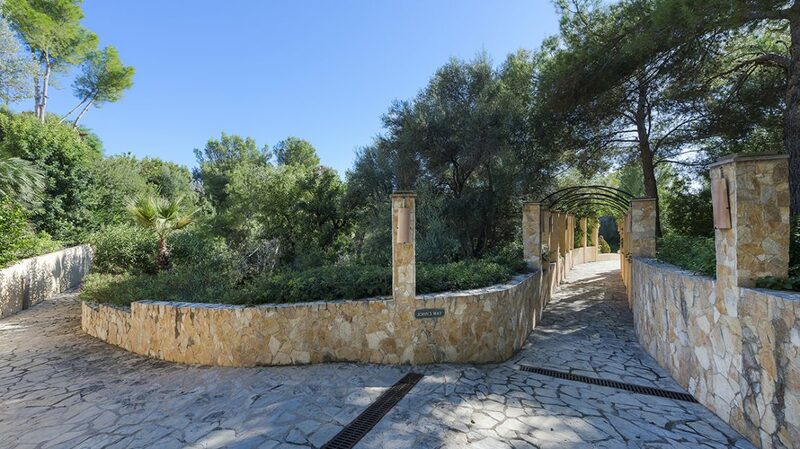 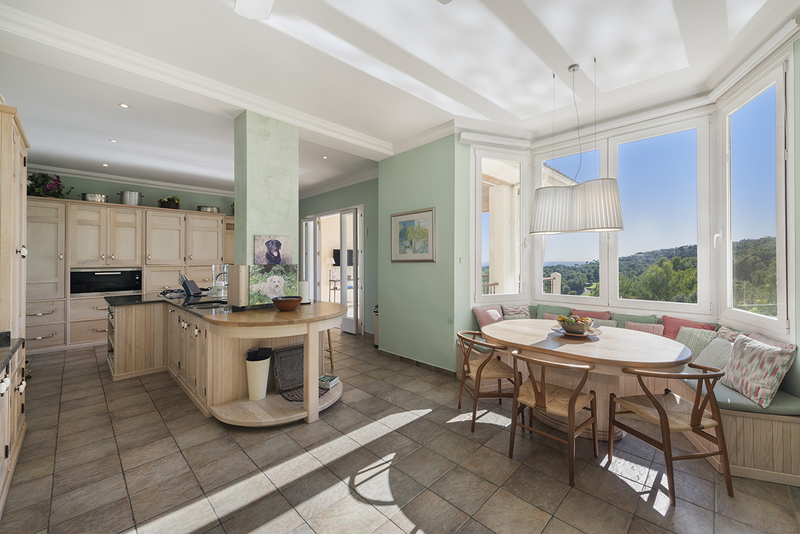 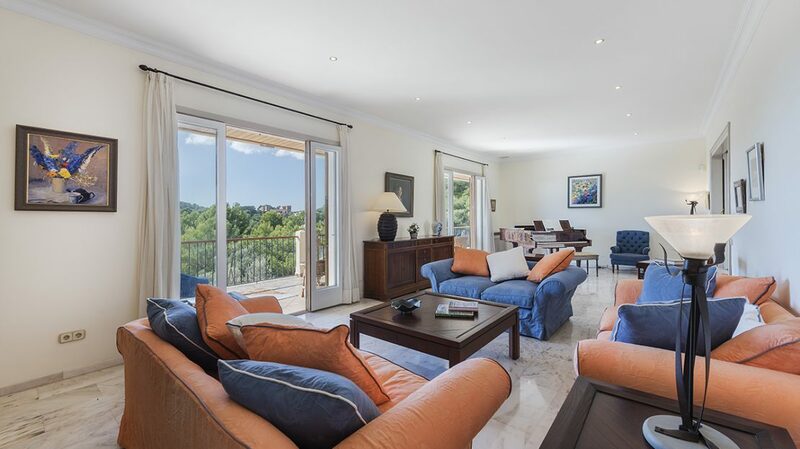 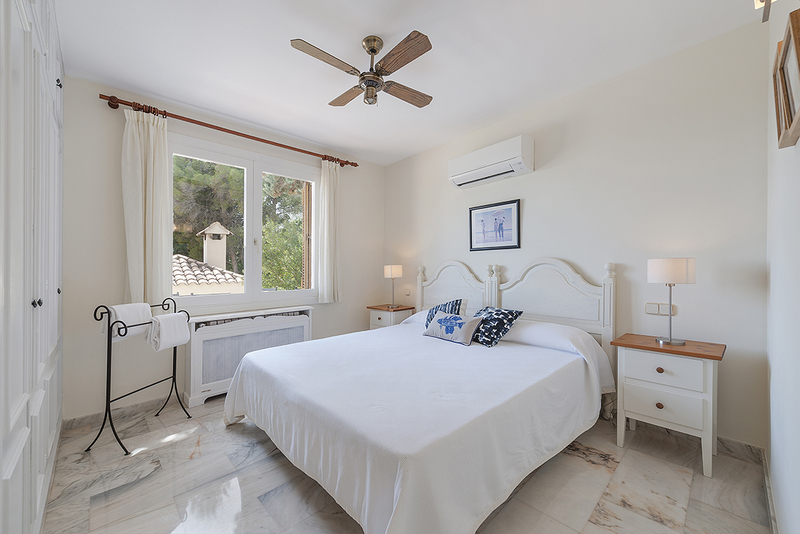 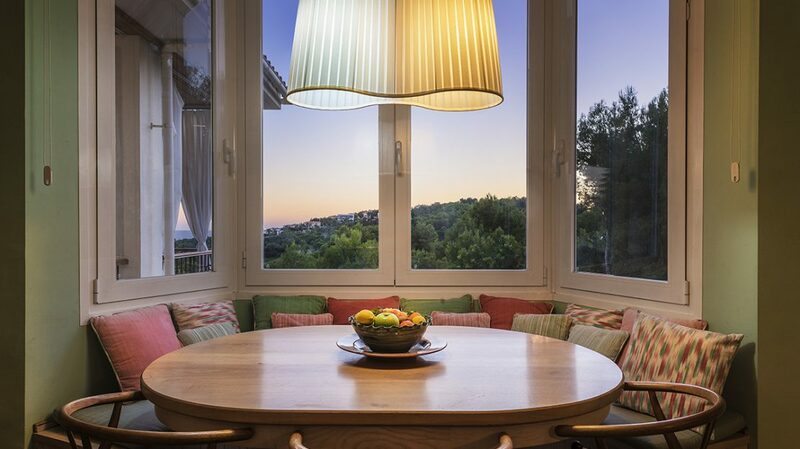 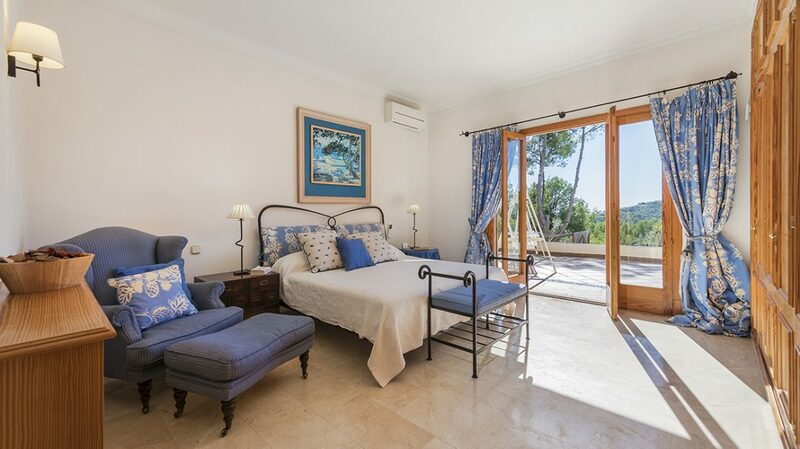 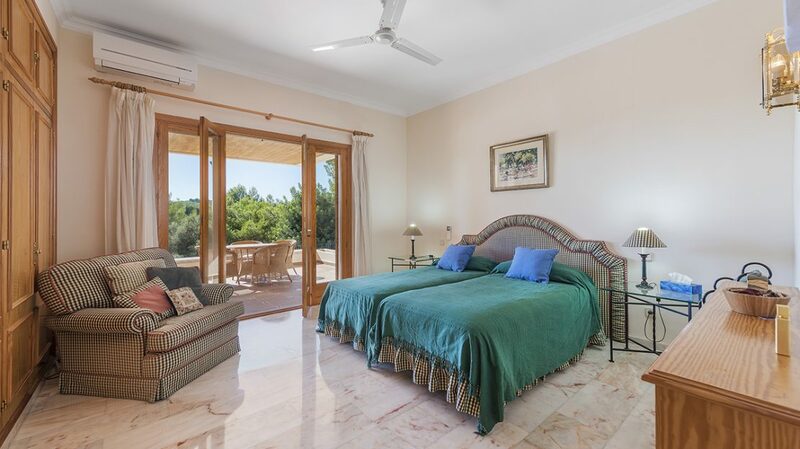 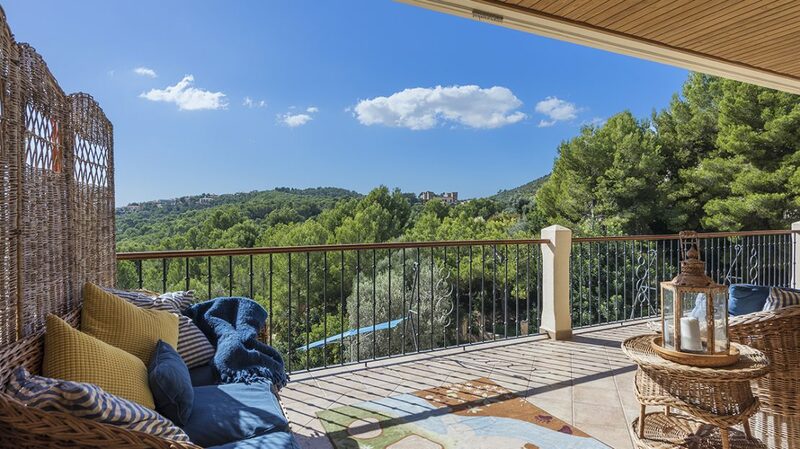 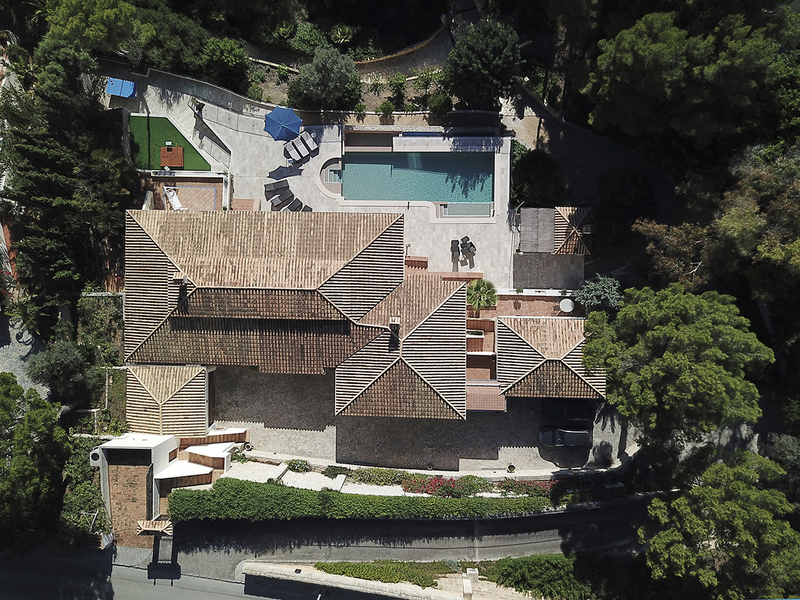 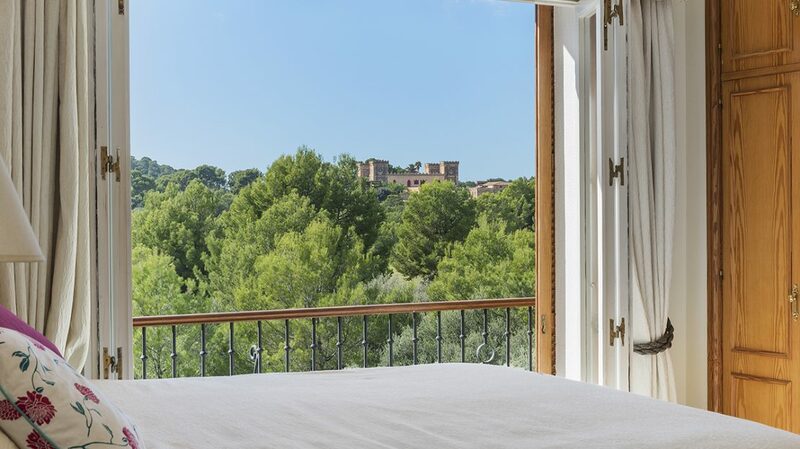 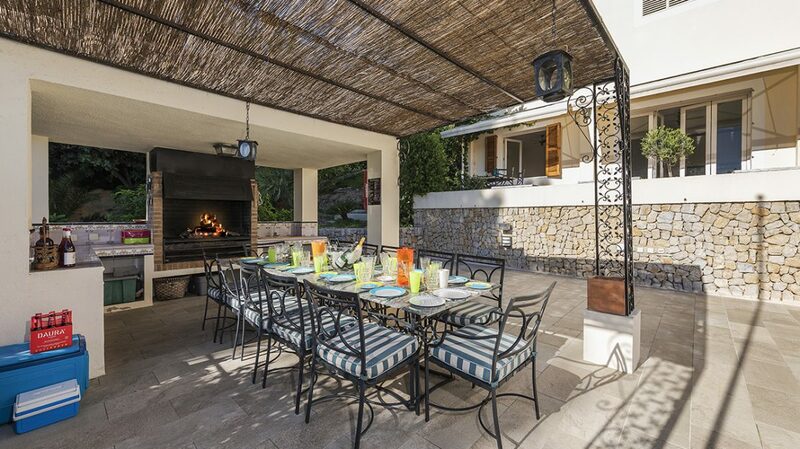 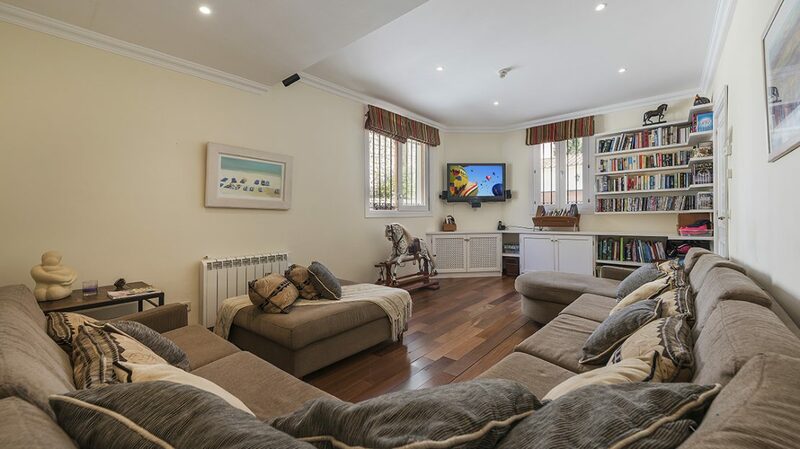 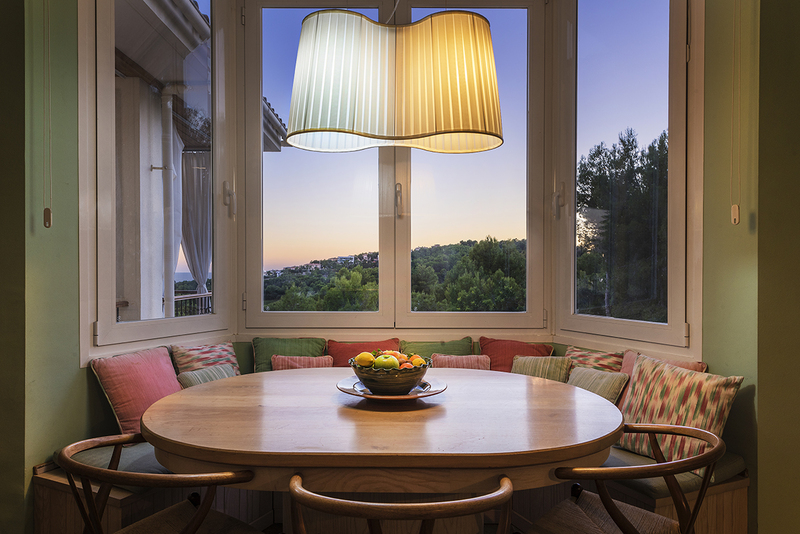 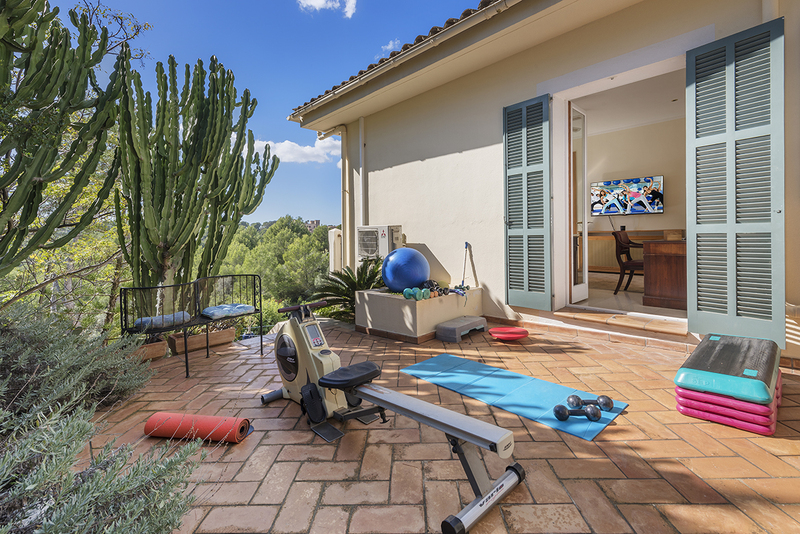 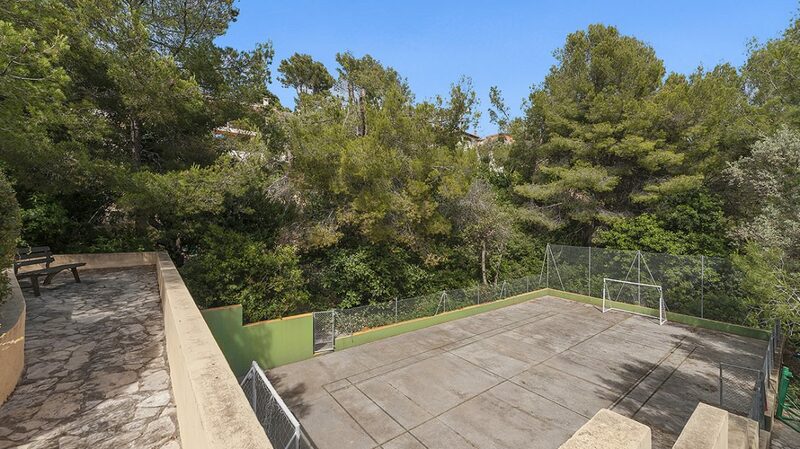 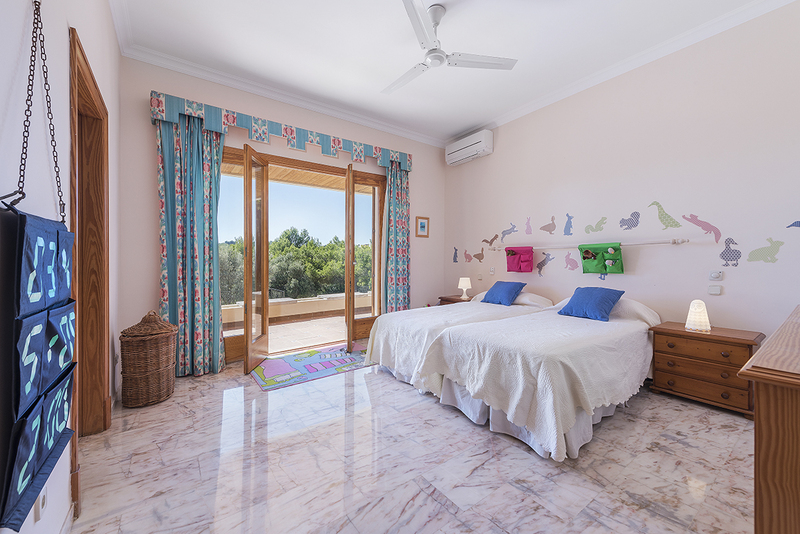 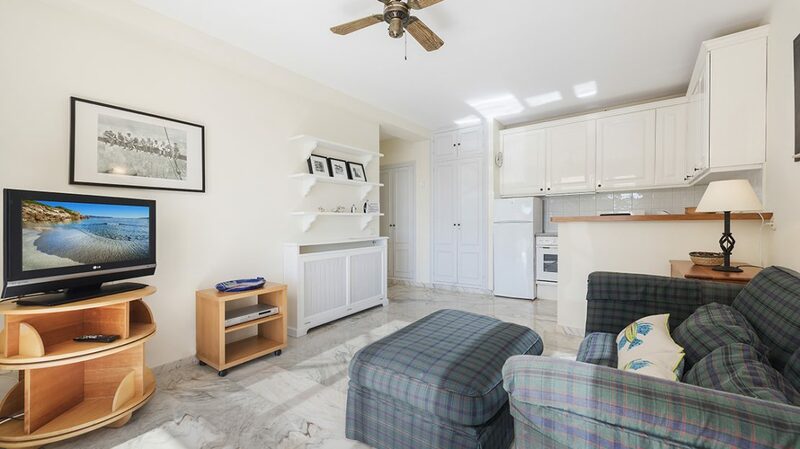 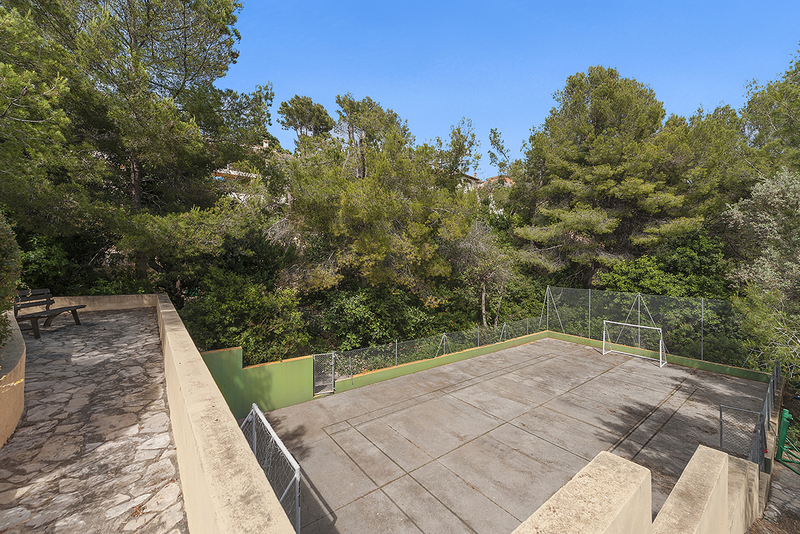 The property is located on Cami de la Serra, It is 8 km from the centre of Palma and 18 km to the international airport. 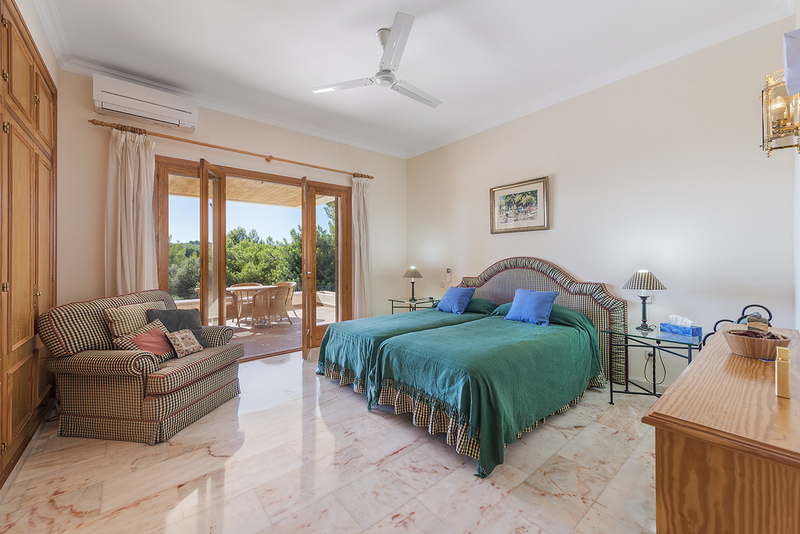 Most of amenities are available within reasonable reach including local supermarkets and restaurants in the Illetas and Puerta Portals area.The Property size is 5,121m2 comprising two plots, Nirvana is a two storey detached Villa comprising five bedroom suites, a self contained apartment with one further bedroom, two double garages, a large outdoor swimming pool and a half tennis court. 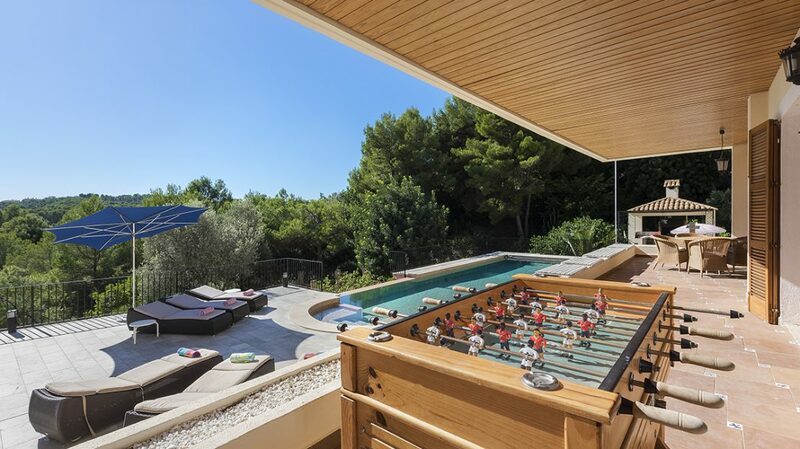 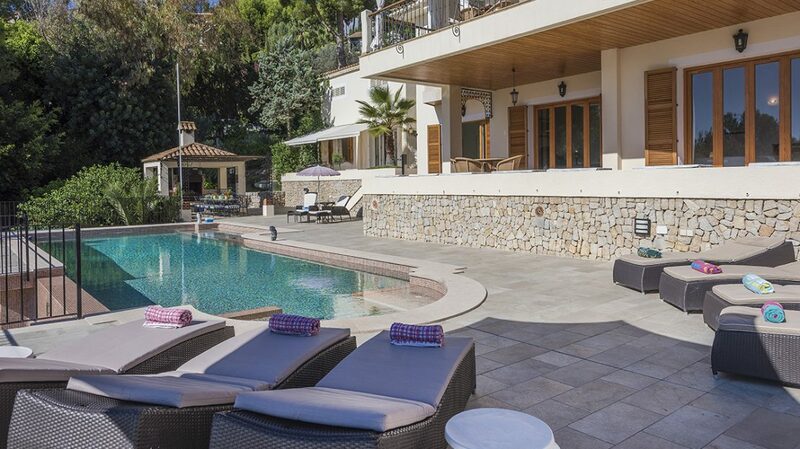 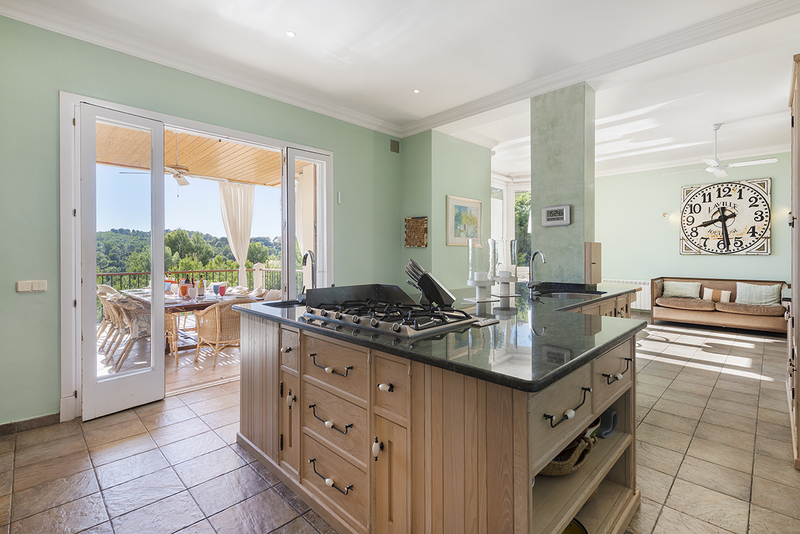 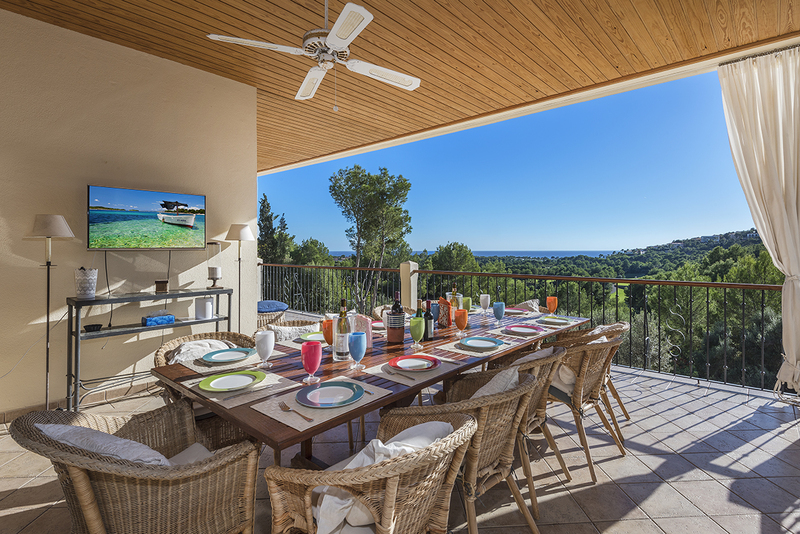 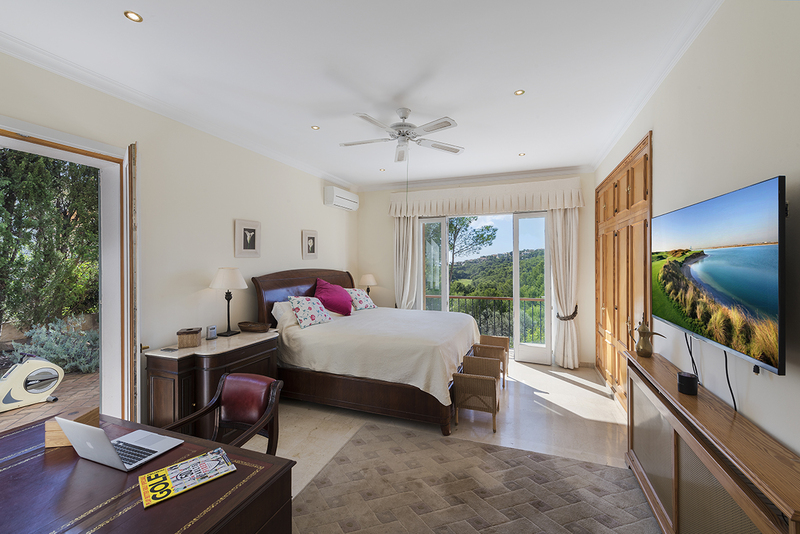 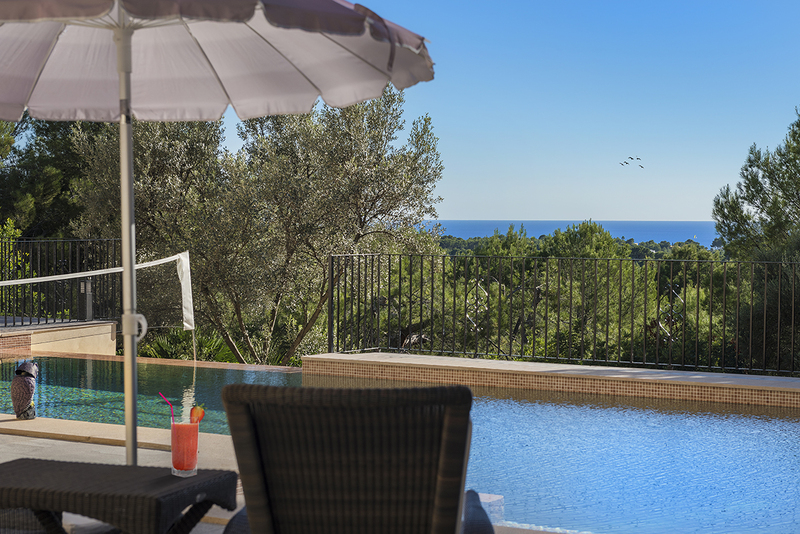 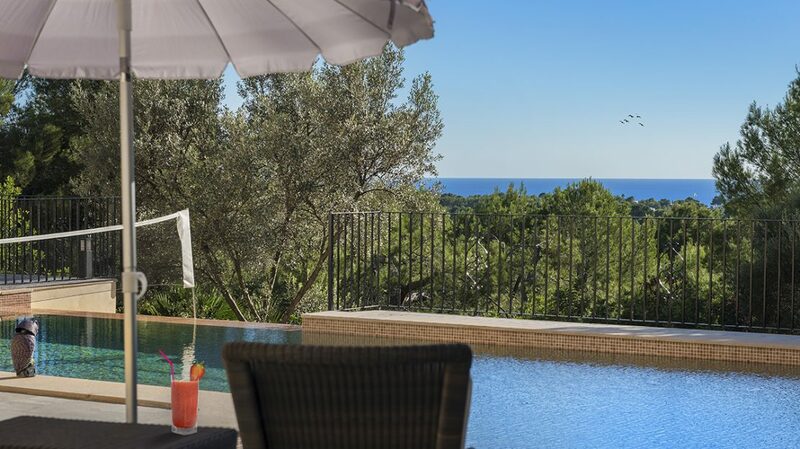 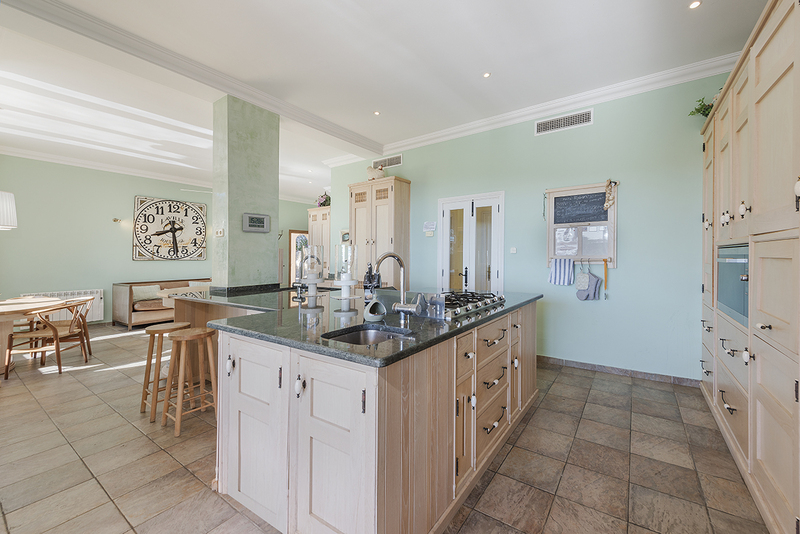 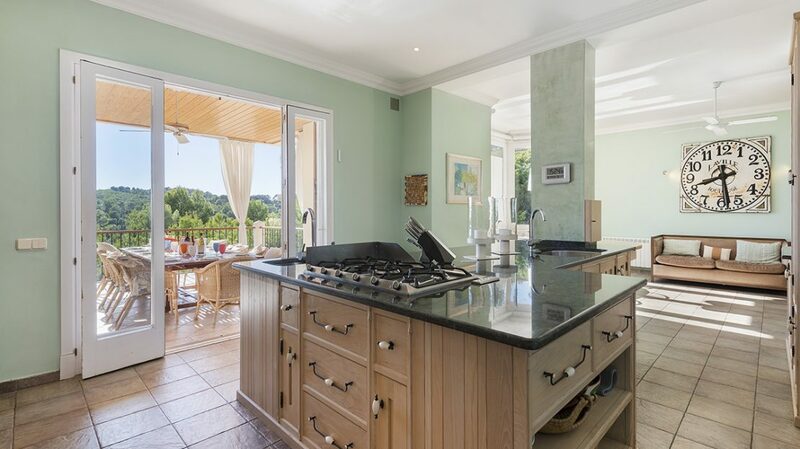 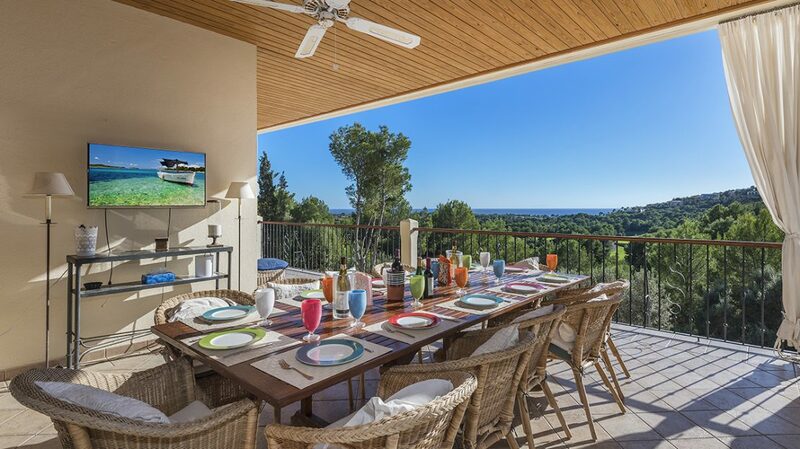 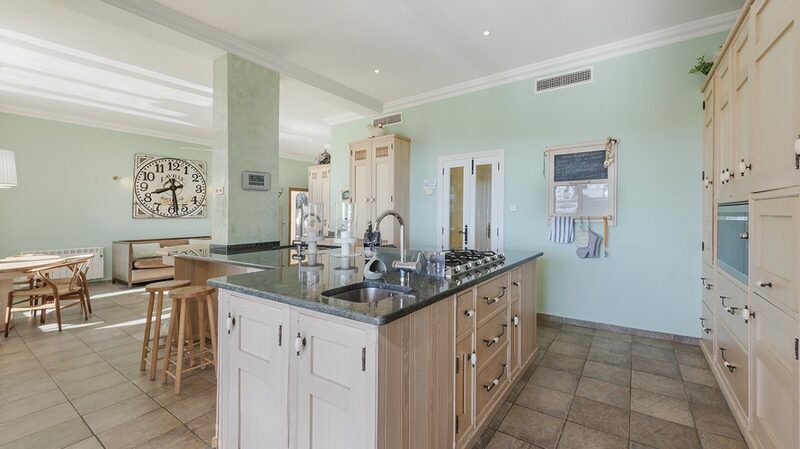 Villa Nirvana has close up views of Real Golf de Bendinat, Castle Bendinat and distant views of the sea. 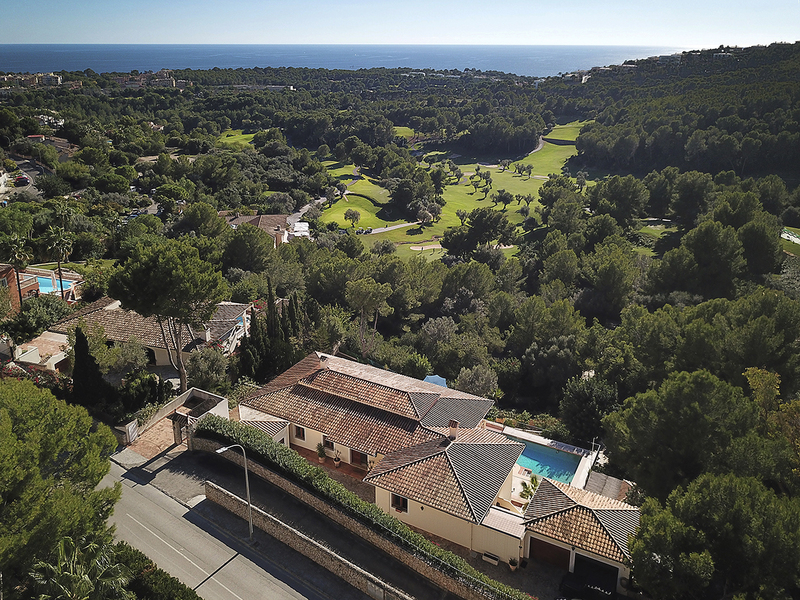 There is direct golf buggy access to Real Golf de Bendinat immediately in front of the practice putting area and driving range through rear boundary gates. 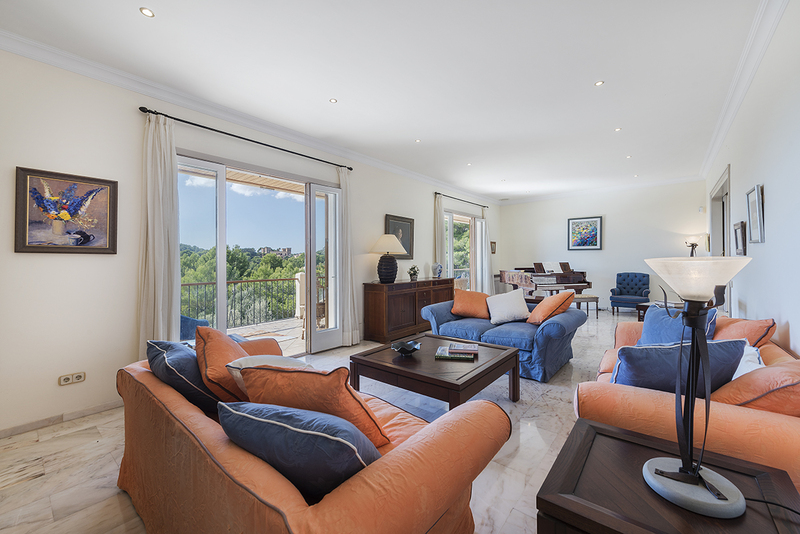 The airport terminal and Palma city centre can either be accessed via the coast or alternatively the Ma-1 Motorway which runs directly to the north connecting to the Ma-20 which skirts the north of Palma city leading to the Airport. 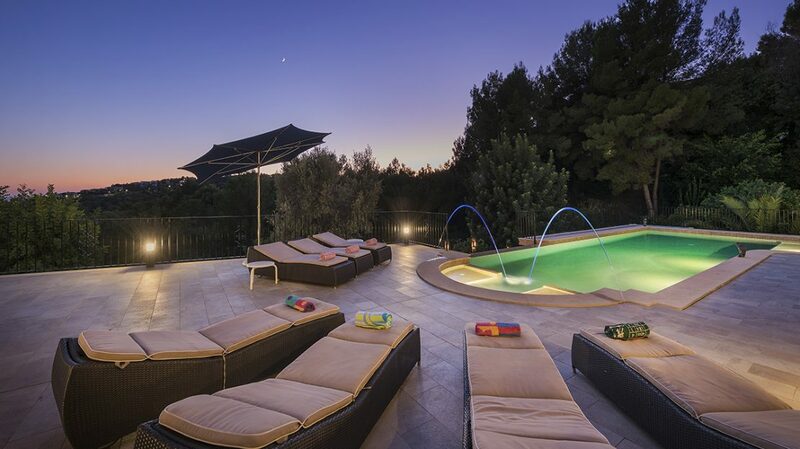 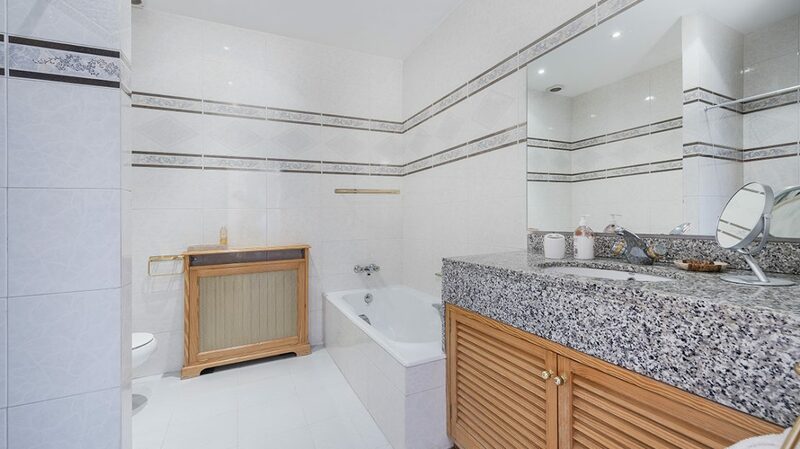 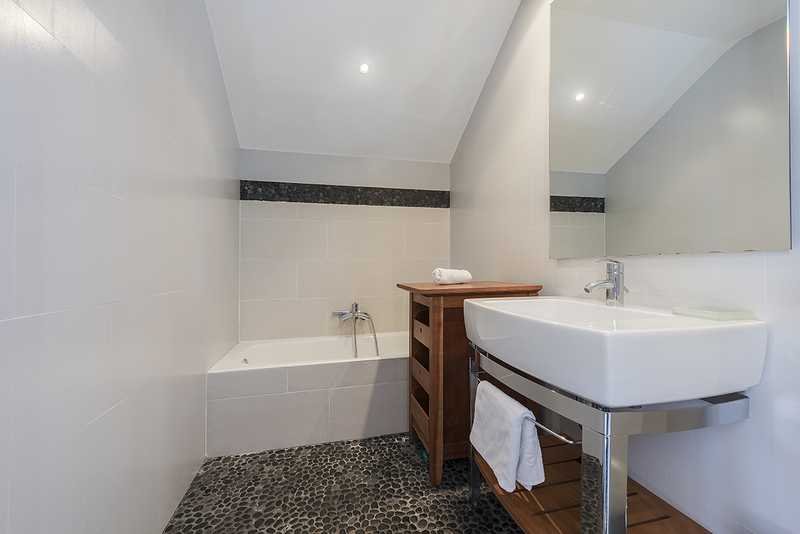 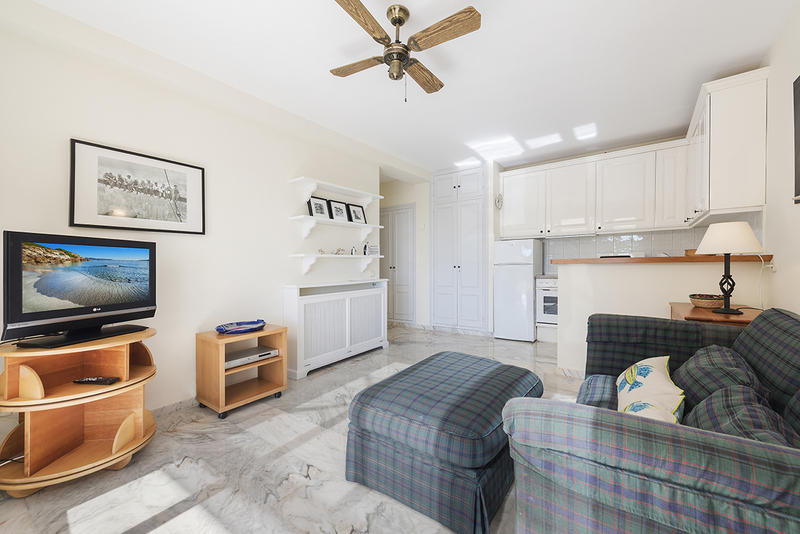 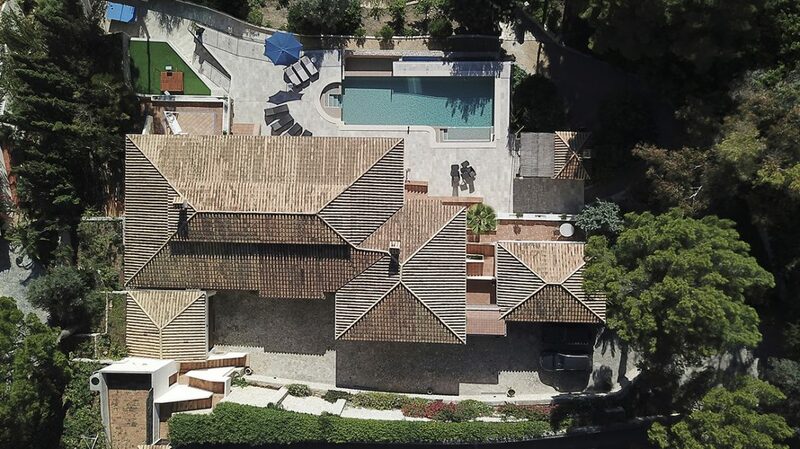 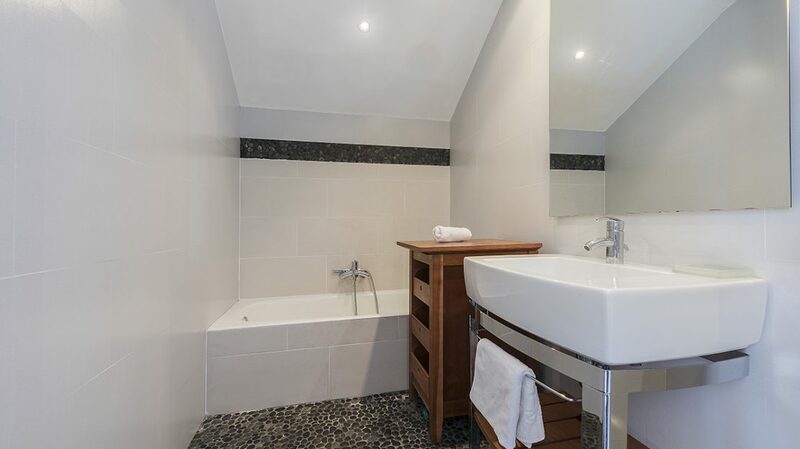 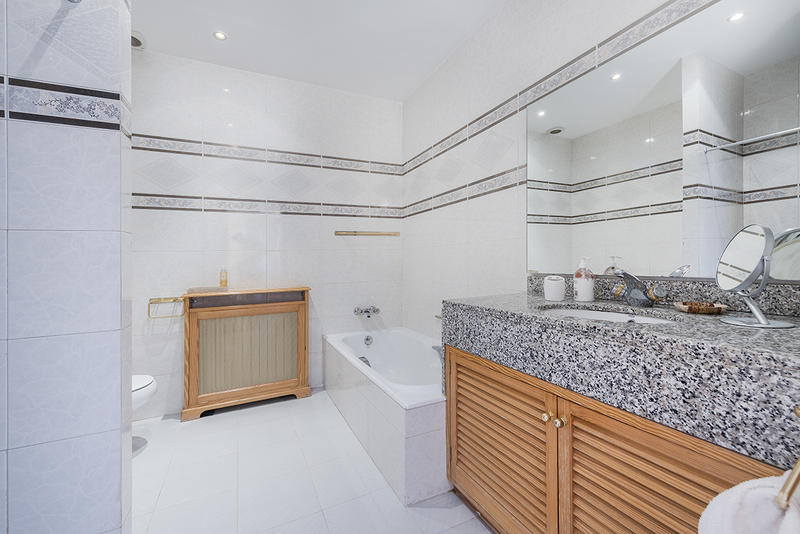 The Property has good exposure to the sun during the day and at sun set.